weapon of choice (1600x1200). 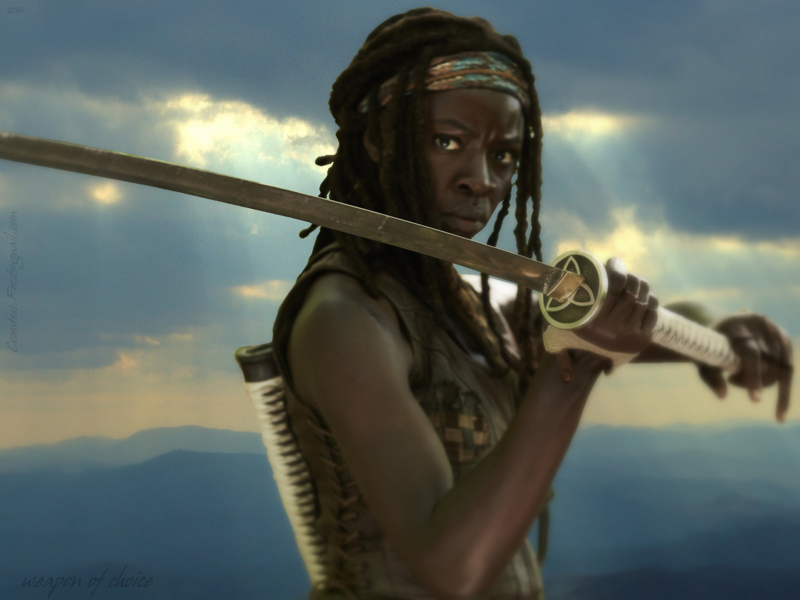 'weapon of choice' fondo de pantalla created por TheCountess features Danai Gurira as Michonne from the TV series 'The Walking Dead'. 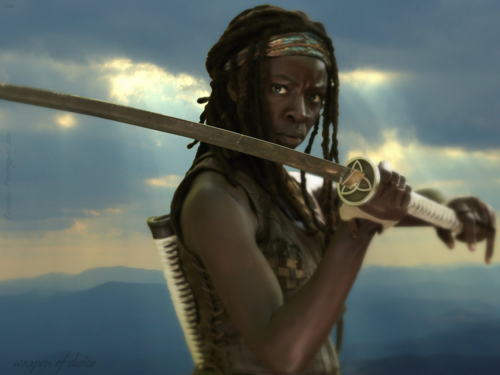 HD Wallpaper and background images in the Los muertos vivientes club tagged: photo the walking dead twd tv show michonne danai gurira sword fan art wallpaper thecountess.